i always love reading others' favorite things posted on their blogs, so i thought i'd start occasionally positing five of my favorite things. so, here we go... i recently read about elizabeth arden's prevage in a magazine and decided to check it out. while at the counter, i discovered this lip protectant stick. it has SPF, which i love and it feels so good on my lips. it actually even smells good. i ended up going with their darkest color, which isn't really dark at all because it's a tint, rather than a lipstick. and alba's terra tints. i don't leave home without one. a cheap, awesome lip moisturizer with SPF. 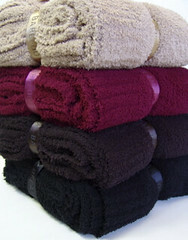 i (and everyone i've given them to) love these barefoot dreams adult throw blankets. they're so soft and snuggly. i'm wrapped in one almost the entire time, when in the living room...sitting in my computer chair or on the couch. a few birthdays ago, steve surprised me with a harvey bag and i've used it ever since. i get so many compliments on it. the greatest thing is that it's crazy durable and will never really go out of style. and how cool is it that they now have fancy harvey bags. i think i'm going to have to get one of these fab lola satchels. love! my current bag is grey and looks like this. etsy. if you don't know etsy, you must check it out--all things handmade. i've purchased clothes, hats, headbands, prints, paintings, jewelry and more. such a magical, inspirational place for christmas gift shopping. 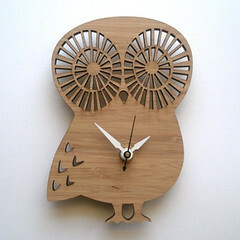 i have this owl clock from etsy and love it. i love giving handmade. i love supporting handmade. oooooh, i love dexter. after steve got home from deployment, he got me hooked on dexter and yes, i am so hooked. i know this season just ended and i have heard it's awesome. waiting patiently until season four comes out on netflix. i miss him. ETA: how could i forget my beloved hunter boots? i love, love them. i have the originals in black, but am seriously longing for a yellow or green pair. i wear them with casual. i wear them with dressy. 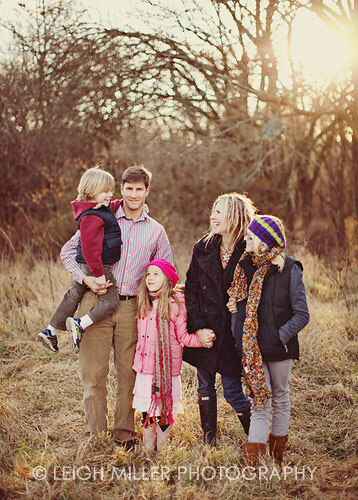 you can see mine here in our family pic. but, i've quickly learned that they're not exactly the warmest and require a good pair (or two) of socks on those really cold days.